Nova Drift is a roguelite space shooter developed by Chimeric. 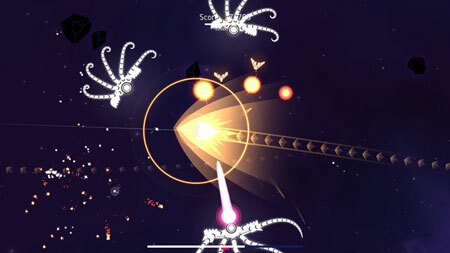 Control an endlessly evolving bio-mechanical ship, face legions of strange and deadly foes, and ride the wake of a dying star across the void. Your ship rapidly evolves as you defeat enemies, allowing you to shape its abilities and weaponry to your desires in a matter of minutes. The game allows you to take a ship build from inception to execution in a single game session. Access over 120 weapons and mods as you progress and expand your arsenal. Unlock modular challenge modes, providing greater risk and rewards. If you get stuck in the game, check out the video walkthrough and gameplay for the game. This entry was posted in PC Games, Walkthrough and tagged Nova Drift Cheats, Nova Drift Gameplay, Nova Drift Guide, Nova Drift Strategy, Nova Drift Walkthrough by Marvin. Bookmark the permalink.